In the 21st Century we should no longer need to convince anyone of the need for proper Sports Specific Training. At the highest levels a good Sports Specific Training programme has become recognised as an essential part of on-the-field success and forms the off-season cornerstone of all elite Athletic Training routines. So it is a sad indictment against many coaches (particularly here in Europe) that we still encounter shabby and ill-conceived Sports Training protocols. A key aspect of all our work at Ultimate Performance is our dedication and commitment to helping improve the Athletic performance of our personal fitness training clients. 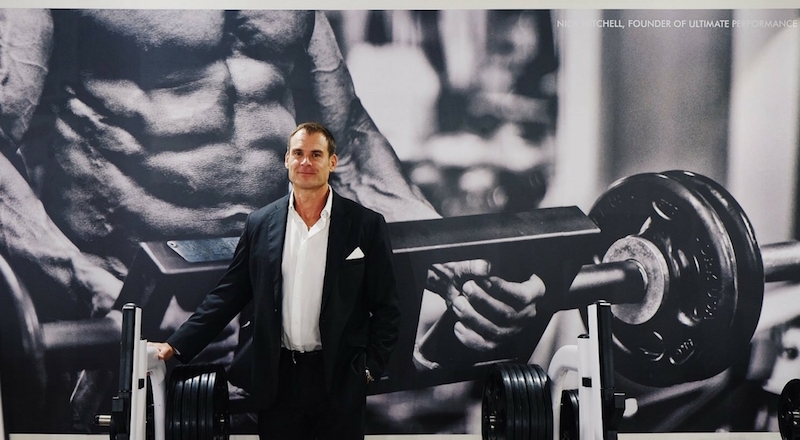 It has become an increasingly significant part of our franchise and is an area where for a London based organisation we have unrivalled access to some of the most sought after Sports Training coaches in the world, including the likes of Charles Poliquin, possibly the most successful Sports Specific Training coach and personal fitness trainer of world championship and Olympic medal winning athletes in the western hemisphere. 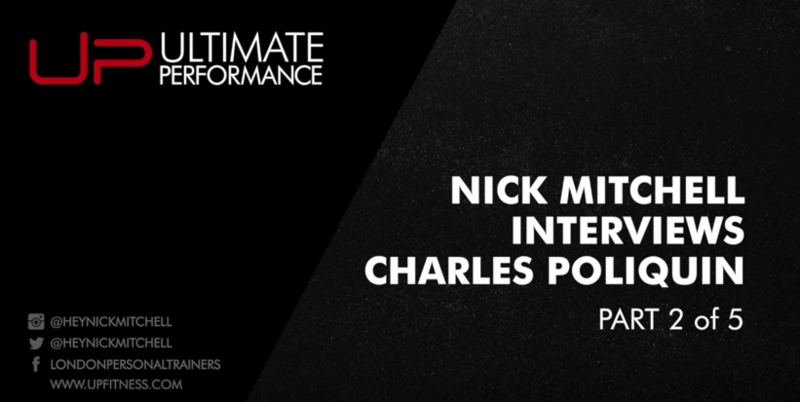 “It has now been 13 weeks since I hired Nick as my Personal Trainer and strength coach. In that time I have increased my bodyweight from 182lbs to 219lbs (at 6ft 2) without a single change in my skin fold thicknesses. The results have been nothing short of unbelievable and it's actually getting annoying now when people wrongly accuse me of taking some magical steroid to improve so much, so quickly! !”* – Ronnie Ochero, Wandsworth Lions Basketball, London. Having been trained by the best ourselves, both as Personal Trainers and as athletes (we have GB representatives from no less than 4 Olympic Games on our personal training team) we are in the enviable position of knowing that we bring the highest standards and most modern training principles to bear upon our strength and conditioning work. 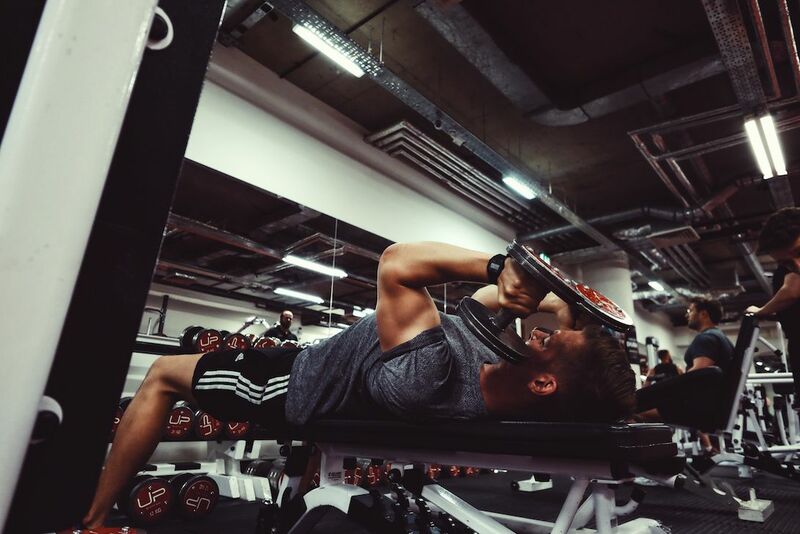 Alongside traditional training principles aimed to improve power, strength, speed, and in some cases functional muscular bulk, we also utilise a wide variety of functional Sports Specific movements such as core stabilisation, multi-planar movements, neuromuscular overload, deceleration, change of direction and plyometric training. Our aim is to produce the most efficient athlete possible, so we also place great emphasis on prehabilitation procedures in order to stop problems before they happen. An integrated and progressive Sports Specific Training programme that properly addresses structural and muscular imbalances should make the body as bulletproof as possible from the inevitable knocks, collisions and sprains that occur on the field of play. Proper nutritional intake is also an absolutely essential topic that is too often ignored by sports training coaches and personal fitness trainers. This is an area that is of fundamental importance as without it recovery, and subsequent adaptive improvements, will always be severely limited. Our expertise in this is unrivalled and we are widely acknowledged as being at the top of our field for getting our athletes into match winning shape in the shortest possible timeframe. This consists of a health and fitness questionnaire where we learn not just the hard facts of your previous Sports Training experience, sports specific goals and medical history, but also to gain solid understanding to exactly what motivates you in the pursuit of on-the-field success. We also undertake an extensive body composition analysis whereby we calculate body fat percentages and take height and weight statistics so as to benchmark ongoing progress. Where are your weaknesses/strengths and how can they be addressed for a healthy, functional and injury free Sports Specific Training? Are you fast twitch or slow twitch, how many repetitions are ideal for your body type? This is of particular importance when it comes to Sports training for maximum athletic performance as different muscle fibres (and their relevant training protocols) can be better suited for endurance work (slow twitch fibres) or speed and power work (fast twitch fibres). We test you on several key major resistance exercises such as Bench Press, Chin up, Step up, and Scott Curl calculating your 1 repetition maximum load and then applying specific formulae to assist in calculating muscle fibre type and the structural balance of key supporting musculature such as the rotator cuff and vastus medialis. This is to ensure the long-term integrity of your body’s muscles and soft tissue, keeping you healthy and on the playing field, and not on the physio’s table! We ask every one of our athlete’s food diary of exactly what is consumed during the preceding week before starting on our Sports Training programme. This way we can accurately conduct a full scale audit of dietary habits and make positive changes that are particular to how you eat, rather than making sweeping statements that apply generally, but not necessarily to you specifically. Consequently, it is this attention to detail and specificity that translates into results. Depending upon your Sports Specific goals, we also map out a full scale supplementation programme that includes every possible permutation of what food supplements you could take to enhance your progress during the Sports Training. 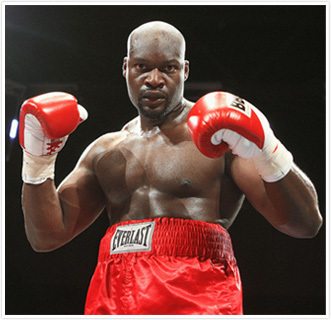 “Training with Ultimate Performance’s personal trainer and sports training coach Glenn was a real eye opener. Over an 8 week period I experienced a 30% strength increase. This is more than I previously achieved in a year. Not only have I gained functional strength for my rugby but I have also acquired valuable knowledge for my training”* – Jake Fisk, Southend Rugby Club. 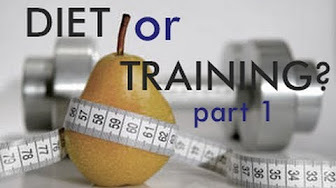 A detailed, leave no stone unturned Sports Training programme both based on the data gathered by the assessment and consultation process, the way you will be eating during the programme (nutrition and exercise should always be taken into account as a whole, not two separate parts), and of course the results that you are looking to be translated onto your chosen field of Sports. We also take into account the information gathered during the physical assessments, and construct a plan that takes into account any pre-existing or potential structural/muscular imbalances, addressing weaknesses head on and eliminating them with the application of modern sports science programme design. Depending upon your Sports Specific goals we generally prescribe a mix of resistance, energy systems, and flexibility focused training. The one consistent thing that all our athletes leave us with is the knowledge that they are to a man and woman always significantly stronger and fitter, often bigger, and invariably faster. Each Sports/Athletic Training session will be conducted with the Ultimate Performance Coach/Personal Trainer of your choice, and entails 1- 2 hours of one-to-one work. We stay with you every step of the way, from dynamic stretching in the warm up, through to the challenge of pushing yourself with the weights or on the running track, up to the cool down and partner assisted PNF (proprioceptive neuromuscular facilitation) stretching to end your workout. We pay extremely close attention to everything that you do when training with us; always monitoring your form, your fitness and your progress, and view the “in the gym” part of our service as being a combination of motivator, educator, statistician and task master! The human body is a remarkably adaptive organism, and by paying close attention to the way you progress in your Sports Specific Training we know when the right time to start changing your programme is (usually within 2-4 weeks depending upon training experience) to ensure that you never reach the plateaus that limit the progress of all athletes.